-Active Ice® 3.0 Universal Cold Therapy System is equipped with a whisper quiet, high-efficiency pump that provides steady, effective cooling therapy. -Electronic Digital Timer with on/off switch can be set in 30 minute increments per your doctor's recommendation for maximum safety. 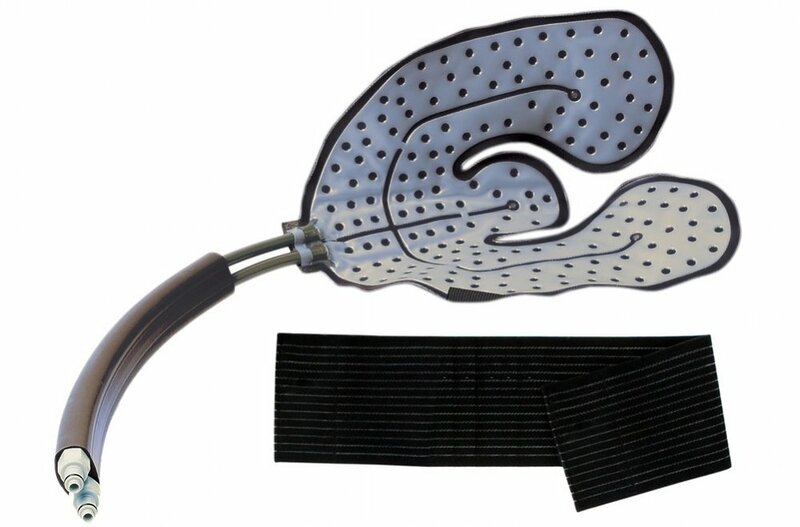 -Great for all areas of the body, including back, knee, shoulder, and limbs. -Easy to use time and time again. Simply add ice and water! 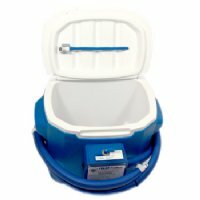 -Includes: 9 Quart Active Ice® 3.0 System, Universal U-Shaped Bladder, and 3" x 44" Elastic Belt. 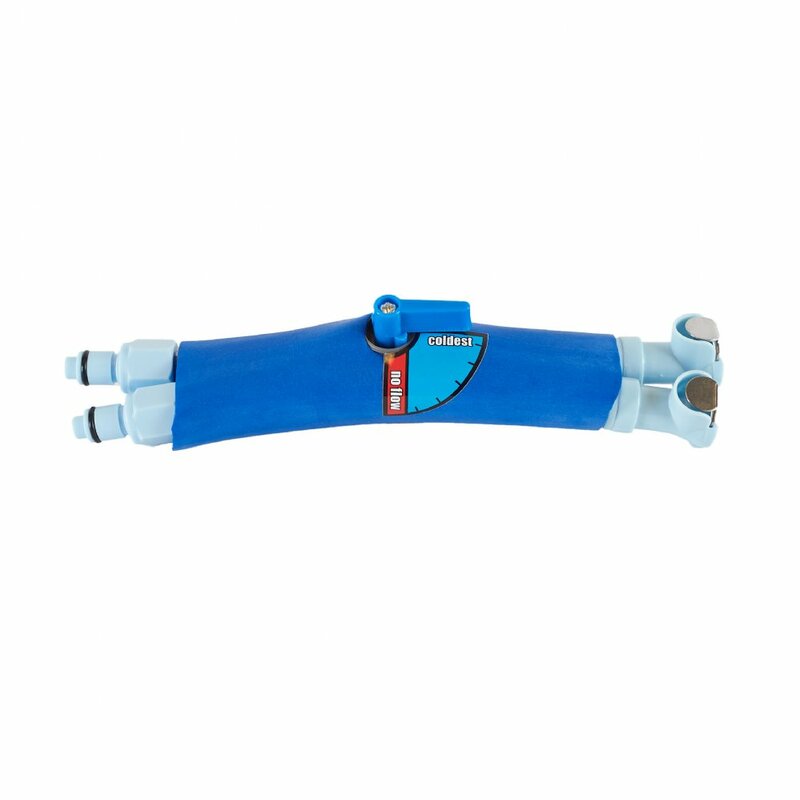 -Optional adjustable temperature flow control available. 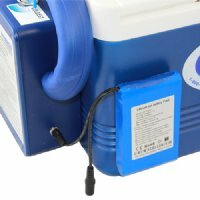 Due to health and hygiene regulations, all Active Ice® 3.0 Systems and parts are non-returnable. "Multiple bone related surgeries later"
Would you recommend this to a friend? : Already have and I educate my doctors about the benefit too. Details: This thermal machine (Polar AIS Therapy System) is amazing!! I have arthritis in my lower back and this machine has helped so much! I even used it on my niece who broke her foot and she loved it, tried to keep it! Only wish I had it 2 years ago when I broke my knee!! Love love this machine. Would you recommend this to a friend? : Yes! Details: I love it. The new digital timer is great. Best of all, the flow through the bladder is 10 times better than that of my Kodiak unit. Nicer bladder pad too. Details: I have an Active Ice system that has worked perfectly for years. Now I need a few replacement parts, do you sell them? Polar Note: Yes, we do. Details: The Active Ice Cold Therapy unit is a really great product. It gets very cold. 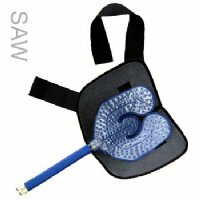 I had ACL surgery and I couldn''t have made it through without it. It really cut down on the amount of pain medicine I had to use. Details: The tubing connectors are hospital grade, resilient but a little tough to push in to connect. 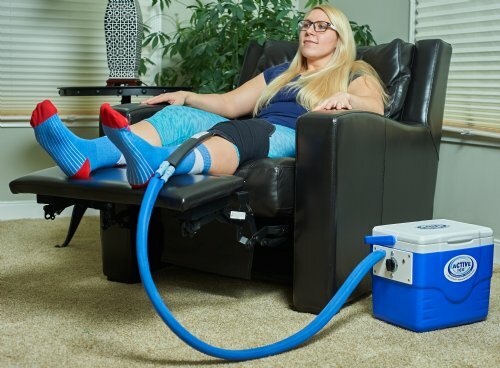 I bought one machine for each floor of the house and the y-connector so I can ice two knees at a time. "Knee pain - cooled away"
Details: I'll admit seeing the box with my Active Ice 2.0 - It was much smaller than I had anticipated. I was pleasantly surprised. The 9 Qt. cooler worked far better than I thought it could. 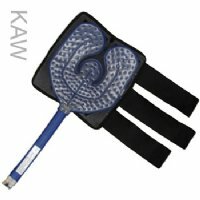 Only improvement I'd like to see (and buy) would be a higher volume knee pad that would allow more cool water to flow over the area. Thumbs up - well done crew. Details: My knee has a defect that has been lifelong, although I ski raced in college, volunteer ski patrol now and am very active I recently had ligament reconstruction surgery to correct the issue. 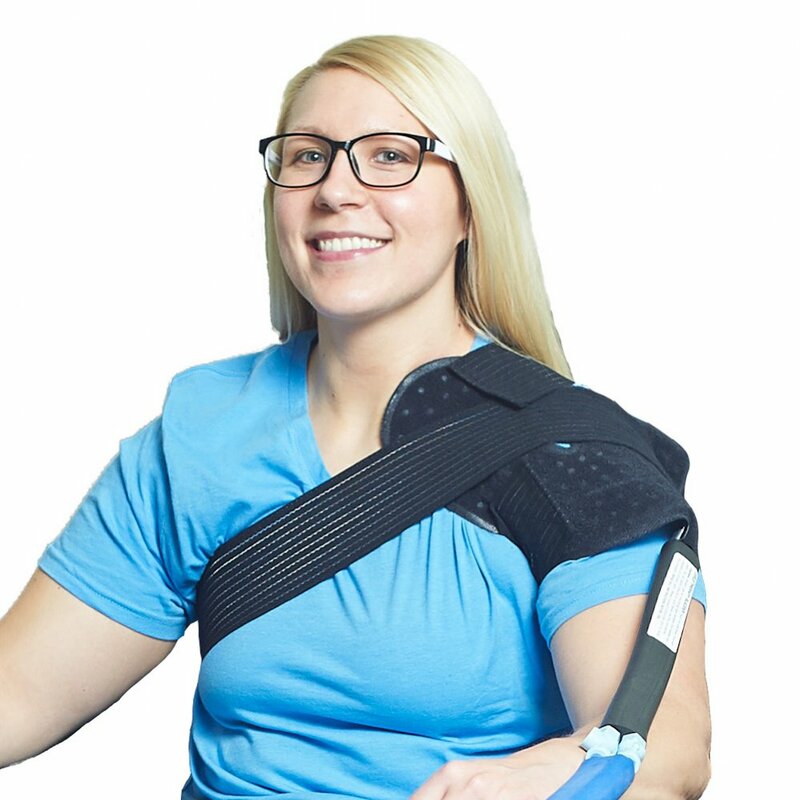 I could not have made it this far with range of motion, swelling reduction and overall comfort without your Active Ice 2.0® therapy system. I want to thank all of your employees and let you know how much this system has helped me. Would you recommend this to a friend? : Yes I would. Details: I bought my unit 4 years ago to help me through a series of knee surgeries. It has been excellent... A month ago I bought one for my mother who recently had a partial knee replacement surgery. This is a high value product that I would recommend to anyone with joint pain or swelling. Details: Thank you so much! Great service! I''m back in business with this second knee. I don''t think I could have made it without your Active Ice 2.0® System. Would you recommend this to a friend? : Yes and all of my patients! Details: I purchased your Active Ice 2.0® System for post surgical and PT relief following a rotator cuff repair on my right shoulder. IT IS MY BEST FRIEND! I could not have been as comfortable without it, especially the first four days. A friend told us about how much they love it and sure enough, we became a fan as well. 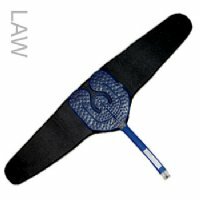 I think we''ll need two soon as I need it for my shoulder and my husband needs it for his knees!!! 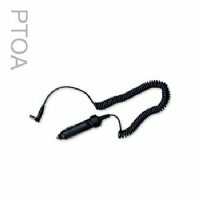 It is a wonderful product and we are so pleased with the purchase.